I’ve been interested in yoga for a while now and the only reason I never started practicingbefore was due to my lack of knowledge. As everybody else in times of need, I went to youtube. I started watching Yoga With Adriene and was particularly interested in her beginner tutorials. I finally gave in and decided to give it a go and thought how good it would be to give a diary of my weeks whilst introducing yoga into my life. 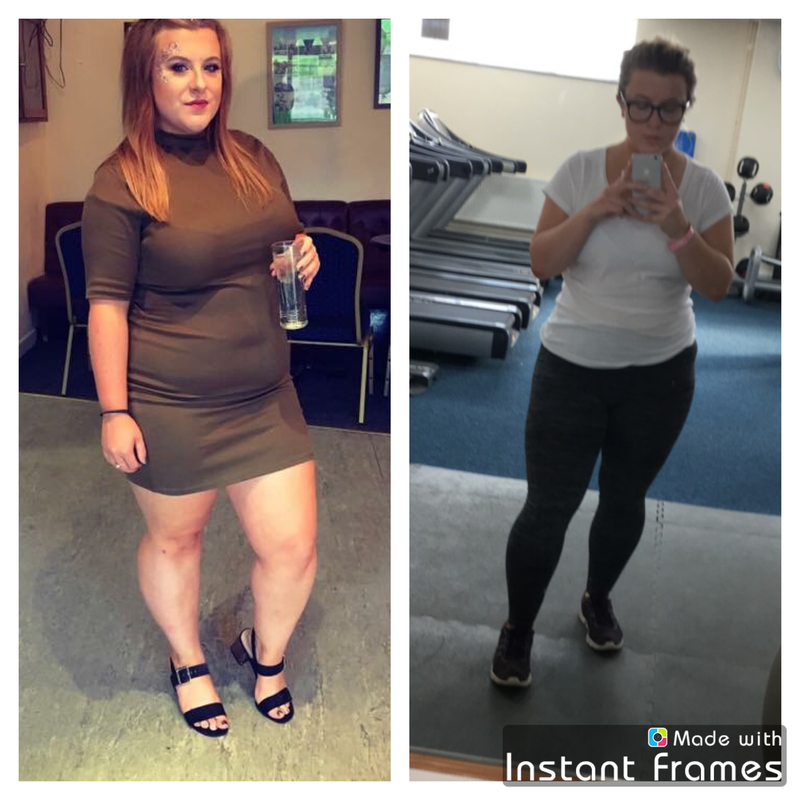 I started my first session on the 3rd September 2017 whilst I was feeling particularly heavy and least energetic. I was even contemplating a nap at this point. I took the plunge and watched the tutorial called Yoga for Complete Beginners: 20 Minute Home Yoga Workout. At the beginning my thoughts were that I wouldn’t be able to finish 10 minutes let alone 20, it just looked so exhausting and strenuous. However, I competed the whole tutorial and afterwards I felt so incredibly relieved. Not because I wanted it to finish but because my body felt instantly lighter, my core felt like I had completed a 60 minute ab-session but most importantly, I feel like a whole lot of weight lifted from my shoulders. I had heard the benefits of yoga before but never really considered them as a benefactor towards my life. Although after the first session I couldn’t wait for my next session. 20 minutes was definitely long enough for my first session because after I had finished my arms and legs felt like jelly but mentally, I felt incredible. I was so impressed by how well I felt after the first attempt I decided to give it a second go right before I went to bed. I followed a picture from Pinterest that had 9 poses, each to be held for 20 seconds with deep breathing. Right after I instantly felt so relaxed and like all my worries had disappeared. My muscles felt incredible and I just felt prepared for a good nights sleep. I also had the best night sleep! The morning of day 2 I thought I would start with yoga before doing anything else to help me prepare for the day. I woke up and followed another Pinterest post by Darebee. This post was called wake up and connect and that is exactly what I did! These poses really helped to stretch out my muscles and mentally, gave me a better look on the day ahead. I then followed Yoga with Adriene in yoga for weight loss – hips and core vinyasa. I then read once I had completed it that it was intermediate which I am definitely not as of yet. So I did find certain poses difficult. However, my body felt really good and all my muscles felt like I had been completely stretched out. Although I didn’t do the poses perfectly I gave it a good attempt and I still felt happy and satisfied after completing it. I definitely realised how challenging yoga actually is and I have underestimated all yoga-doers abilities in the past. I totally apologise and you are all basically gods for doing this every day. Although it does make you feel amazing. After work I decided it to go ahead and do another 10 minute session for beginners, this time following the 10 minute yoga workout for beginners to improve flexibility on YouTube. At this point I was feeling pretty unwell with a sore throat and ears, normally I’d totally ignore any type of exercise and would lay in bed feeling sorry for myself. This time I couldn’t wait to stretch my muscles out and feel more relaxed. The session really got my heart racing and by the end of the session I really did feel like my flexibility had gotten better in just a small amount of time. I also felt my heart racing and I was sweating, honestly it does feel like a full workout, essentially it is though. Afterwards although I was still feeling the sore throat and ears but I wasn’t feeling drained and it helped me to relax more and ignore the pain I was experiencing. I woke up early to have a 20 minute yoga session, right now in the week I feel like 20 minutes is all I need and eventually I may increase this when I become more flexible and familiar with the practice. This morning I did a 20 minute morning yoga – gentle morning sequence whilst following Yoga with Adriene. I particularly enjoyed this session because I could really wake myself up from it, before I started I felt drained and tired but right after I felt so much more exergetic and prepared for the day. In this tutorial I thoroughly enjoyed the cat-like poses and movements, I felt less pressure in my back after doing these. I also feel like my thigh muscles are gradually becoming stronger, as are my shoulders. Admittedly, my downward dog pose isn’t my strongest point but I still enjoy it! I realised that Yoga with Adriene is my favourite tutorials/sessions to follow because she is just so calm and relaxing to listen too, along with that she just knows what she’s doing. The third evening came, I went to dinner wih my friends and when I got home I still felt prepared to do a session. I waited a little while to ensure my food had fully settled before beginning a 25 minute gentle yoga sequence. This session was really calming but it actually allowed me to think of the events that happened during the day, along with releasing any worrying overwhelming thoughts and just release for negativity in my life. I also also like a baby! I woke up on the 4th day feeling unusually tired and almost, very nearly resisted the practice but I knew I would hate myself for missing it. So I went ahead and followed the Wake Up and Connect Pinterest post that I showed you above. However, this time I held each pose for a longer amount of time, around 50-60 seconds per pose. I did find it slightly more difficult but each day I do find that certain poses are improving and others I still find difficult. The plank is my absolute worst, I get severe shakes when I do this post. Each day I feel my muscles getting stronger and my body changing. Doing yoga in the mornings and before bed has really already made a difference to my mentality and physical strength. However, on this particular day I felt especially more aching than usual so I continued with the session but for less amount of time and maintained a relaxed and comfortable posture in each position. I can really feel the difference it is making in my body! I had a free night planned so I went ahead and did my first 40 minute practice, following another Yoga with Adriene tutorial. This one was a 40 minute home yoga work out for beginners and it really did test my strengths but also, I actually preferred to do a 40 minute session than a normal 20 minute. I felt more relaxed and more willing to continue to hold the poses for longer. Perhaps this is because I’m improving my flexibility and gradually increasing my abilities. By the end of day 4 I’ve been thoroughly enjoying practicing yoga and at the end of each day I’m excited for the next just to do more Yoga. Something I can honestly say, I’ve never felt towards any other form of exercise. This morning’s practice was a little different as I followed a Pinterest post called 10 yoga poses you can do from your bed. At first I thought the surface of the bed was not going to be firm enough for me to hold the poses but it wasn’t that bad. In fact, it was a nice relief for my knees since I haven’t been using a yoga mat (to purchase next). The poses I completed were wide child’s pose, the cat pose, seated spinal twist, seated side bend, forward fold, spinal twist, pigeon pose, happy baby, cobra and bow pose. These poses are perfect to stretch out all of the muscles in your body and after every session my back feels incredible. All week I have loved nothing more than waking up and stretching out my body ready for the day ahead. After work I went ahead and settled myself down by completing another Yoga with Adriene video called a little goes a long way. I really enjoyed this practice because it focuses on how to become more aware of your breathing and concentrate on mindefulness and awareness of your body. These poses are especially good because the more advanced you become the more improvement you can make to these poses and change them to alter your capabilities. 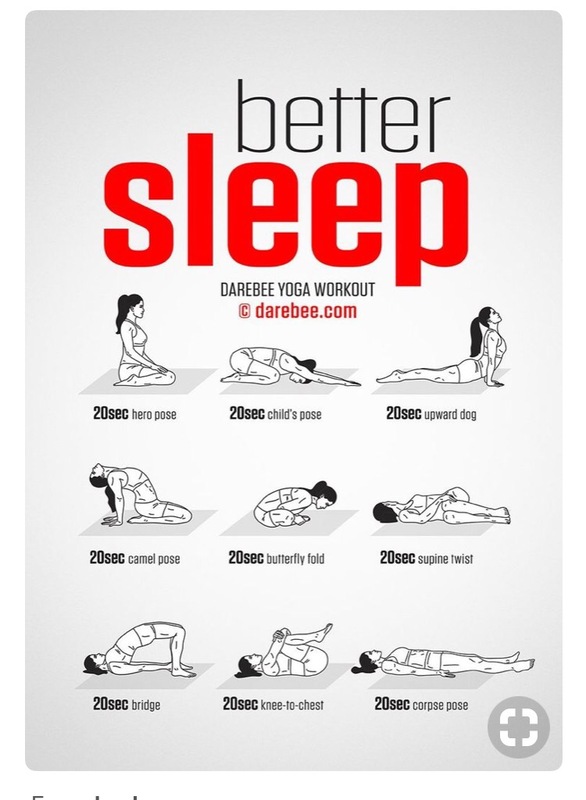 Another night where I slept like a baby and I know its because of yoga! Knowing this day was gloomy, dark and rainy did make it slightly harder to leave my bed. Although like always, I felt so awake and alive after completing a short 10 minute session. It’s easy to say everyday that I feel more alive or awake but honestly, I do. I also like how different my body feels eat morning, some days my body is more flexible than the previous day and other days my muscles are tight and I’m sore. I think it takes some getting used too but I’m loving how different I feel physically and mindfully. Today’s morning session was a short morning routine which can be found on Pinterest. I wanted to do a session but I didn’t want anything too strenuous. So I went for a short 10 minute session where I was able to stretch out all my muscles. I prefer to do a short session in the morning and a 20-40 minute session during the evening. I find that I’m able to give it more time and attention in the evening/afternoon time than the morning. However, I like the feeling I get when I complete a session in the morning as it really helps me to open up and prepare for the day. Evening session was following a yoga for neck and shoulder relief practice. My shoulders were feeling good particularly sore but mainly I felt like givin my core a rest as it’s become very tight and aching but, I can only hope this is good. Although this practice wasn’t my favourite I did feel relaxed and good after completing it. It was nice to give my legs and core a break but as well as to give myself more movement within my shoulder and knock area. It was also especially good to give myself more practice with straightening my back within the sitting position. This morning I decided to follow the same poses from Thursday morning but this time I held them longer and did them in the floor. This time I practiced for around 25 minutes and paid more attention to my breathing. I really do prefer this practice on the floor rather than a bed and I think it is the ideal morning session. For the evening session I followed the bed time session on Pinterest. I actually feel like this is the best way to do a session and get a great nights sleep. I’ve found that each time I’ve done this practice I’ve slept so well and I wake up feeling 10x more refreshed than ever. I feel incredible. My body feels so grateful for practicing and actually adding exercise to my diet. I don’t really feel like yoga is exercise but it definitely does feel like a full body work out. I always feel like I’ve tested and stretched out each muscle in my body. Very early on within the week I realised that I felt better when doing yoga early in the morning, generally before I have any food or do any other activities. After thoroughly researching others also felt the same. However, I do like to do some yoga before bed, only a small season of maybe a few 20sec poses but I just feel like I have a better nights sleep when I do it. I’m yet to try it before or after exercise, so for week 2 I plan to see how I feel doing yoga in the mornings before exercise and after. I also want to test this during the evening to see which time of day it really makes a difference. Honestly though, I’ve loved my first week of yoga! I’m definitely going to see how things continue to go and how I improve and perhaps I’ll put up another post about my exercise with yoga in a few weeks.